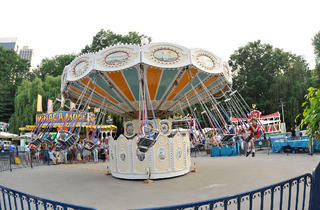 Come summer, the ice of Trump Wollman Rink disappears and the space magically transforms into Victorian Gardens, an old-fashioned amusement park with a fun slide, mini roller coaster and Whac-a-Mole, making it a kiddie paradise for all seasons. May 28–Sept 11. Hours vary, see victoriangardensnyc.com for schedule. Subway: N, Q, R to Fifth Ave; F to Lexington Ave–63rd St; 6 to 68th St. 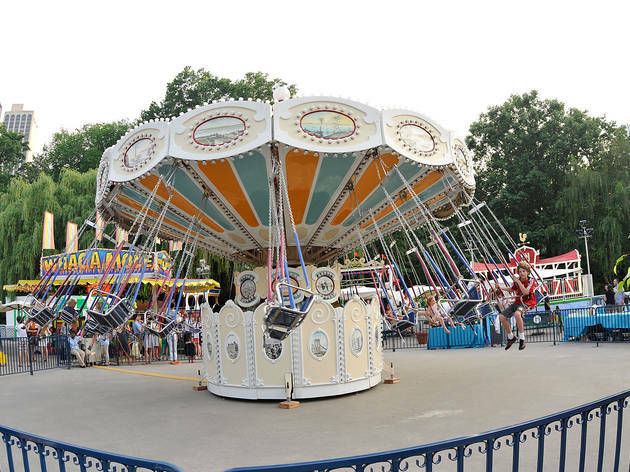 Weekdays: $6.50, plus $1 tickets for rides and games or $12 for unlimited ride wristband. Weekends and holidays: $7.50, plus $1 tickets for rides and games or $14 for unlimited ride wristband. Children under 36 inches tall free with paid adult.